Today, I want to introduce FreeDashboard, our new platform dedicated to Dashboard management ! 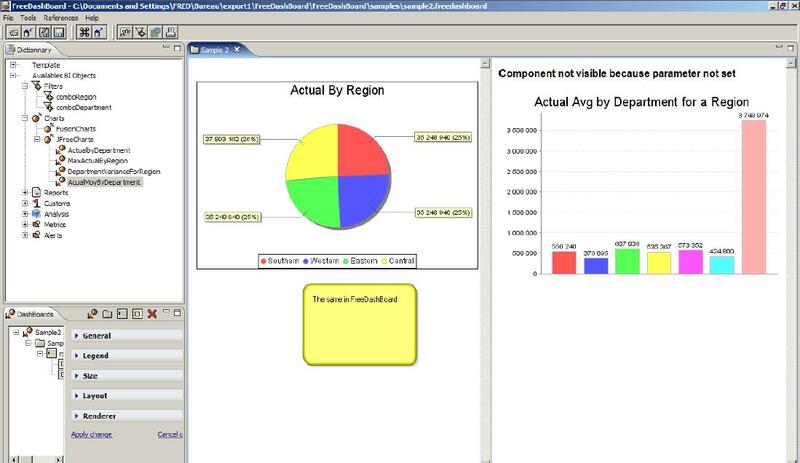 FreeDashboard is the result of months of analysis and development, started in march 2007. After 7 months of project, we can be proud to delivere the first module of this new platform : FreeDashboard Designer, an Open Source Eclipse based Studio that can be used to produce Pentaho compliant JSP Dashboard. We showed FreeDashboard last friday to our Pentaho partners, just after the presentation of Kettle 3.0 by Matt Caster. Matt’s presentation was a real show : as usual, Kettle is a so nice platform, full of interesting features and “performance oriented” …. the assistance was under the spell of Kettle. After Thomas Morgner presentation (roadmap to JFreeReport 1.0), Ludovic showed FreeDashboard. It seems that the platform received good vibration from the partners and that our job may get rapid significant recognation from Dashboard developers. 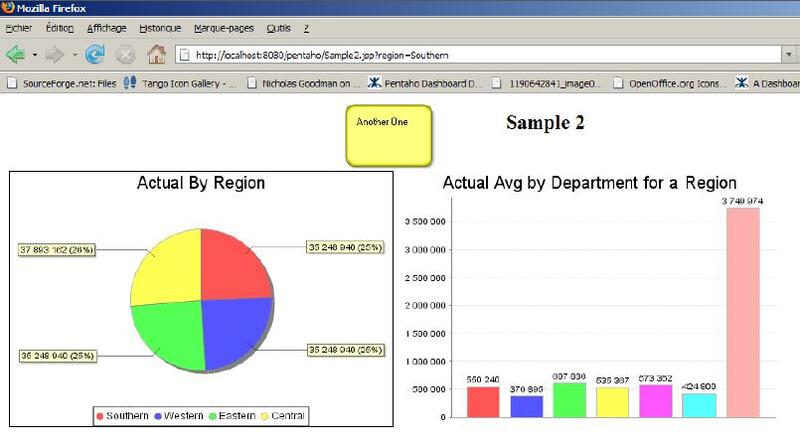 This platform has many interests : it runs pentaho xaction, it can be used to attribute Dashboard development to less technical developers (no JSP knwoledge is required), and it can be used to manage .freedashboard XML documents that describe Dashboard’s content. There is more to come with this platform, but the beginning is already a “must to have”. Agenda for FreeDashboard is really simple : from now until november 19th, we will use it with partners to develop some Dashboards (customer projects), then test & debug the studio. We will give ourself an additional week to prepare documentation and packages, and then, the product will be publicly available for your pleasure. But the best of the best is always the birth of a new baby, so I’m please to announce the birth of Olivia, first daughter of Cédric Claidière, one of our leader in Pentaho and FreeAnalysis implementation. Olivia and Emilie are OK .. they are now starting a new life, from 2 to 3. Cédric has recently started his own blog (only declare is URL : http://claidiere.wordpress.com/) … but didn’t get time enough to post any news. We are now all expecting that Cédric will post some good picture of his baby ! We all send our best wishes to Cédric, his wife Emilie and their baby Olivia. Sometimes, we post news about “virtual baby”, such as new version of some packages … but let’s come down to earth : this is nothing compare to a real baby !